National education is an initiative eight years in the making. Taking directives from Beijing, Donald Tsang’s administration began designing a program in 2004 with the sole goal to instill patriotism in the city’s youths. The motive is clear. Party leaders up north have long been fed up with the islanders down south who identify themselves as “Hong Kongers” rather than Chinese. Since the Handover, negative press coverage of the Motherland, competition from rival cities like Shanghai and Beijing, and the daily cultural clashes with Mainland tourists have all contributed to a growing anti-China sentiment in the former British colony. Beijing is convinced that our lack of national identity is a result of British colonial brainwashing. 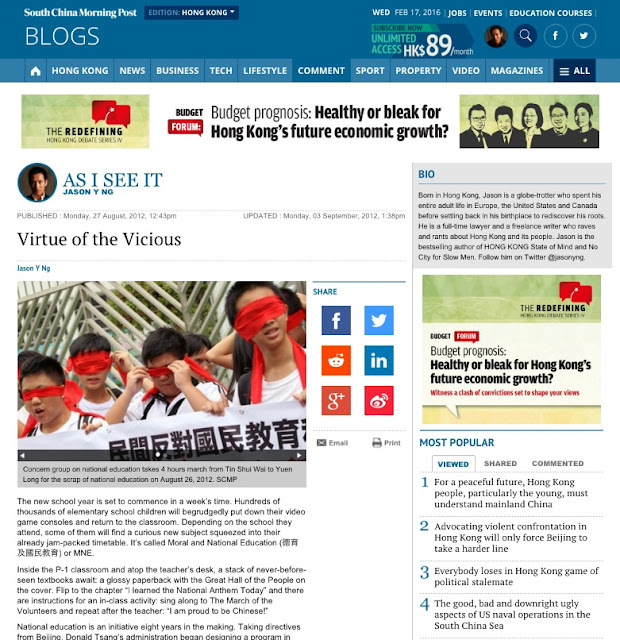 As one commentator for The China Daily, a Communist Party mouthpiece, puts it: “the [British] colonial rule sought every means to alienate Hong Kong and the Mainland, [and] sow the seeds of estrangement between us...” The white-washed population in Hong Kong needs to be reprogrammed. 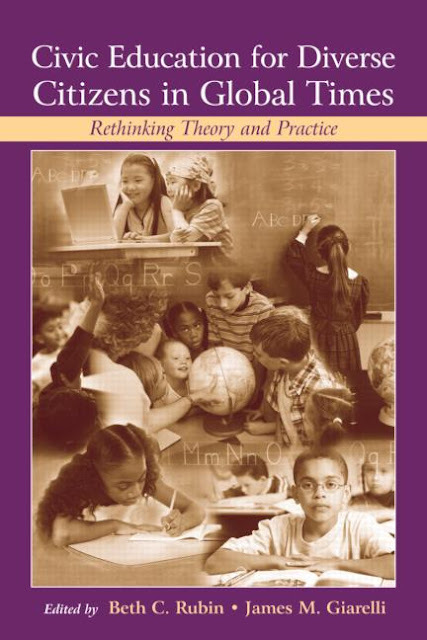 And since indoctrination is most effective if started at an early age, what better place to begin than first grade? 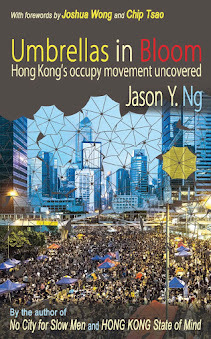 Consider it Donald Tsang’s parting gift to Hong Kong. 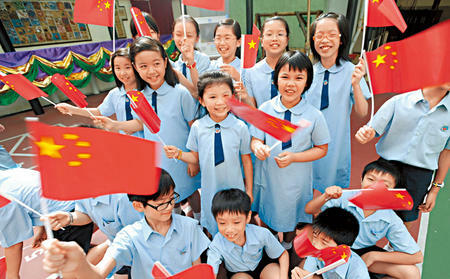 In his final policy address before leaving office in disgrace, Tsang proposed the introduction of MNE as a standalone subject in primary schools by 2012 and in secondary schools a year later. As is the case for many of his policies, Tsang short-circuited the public consultation process and drew widespread opposition from concerned parents and teachers. Tsang and his education minister were caught flat-footed and had to come up with a face-saving compromise. This past January, the Education Bureau offered a truce: a three-year grace period allowing grade schools to voluntarily adopt MNE beginning in 2012 with the subject becoming mandatory in 2015. That explains why only some – not all – elementary schools in the city will roll out MNE when the fall term begins next week. The trailblazers consist of two groups: government schools and so-called “red schools” that rely on funding from Beijing-backed organizations. Then came The China Model (《中國模式》), a controversial handbook published by the National Education Service Centre (NESC) founded and funded by the Education Bureau. 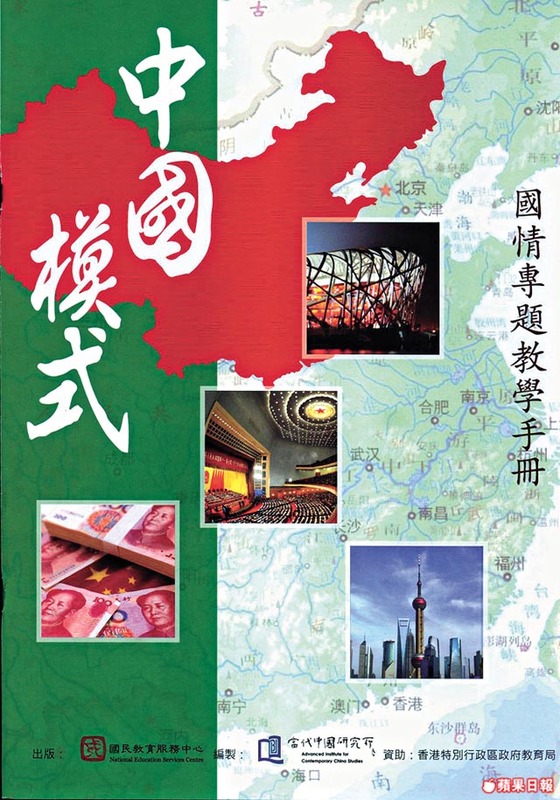 Intended as a guideline for MNE teachers, it is an unabashed tribute to Communist China that praises its achievements and mentions none of its failures. One-party rule, for instance, is hailed as a superior political model to multi-party democracy plagued by endless bickering and paralyzing partisanship. The handbook is so biased it makes the description of the Pacific War in a Japanese history textbook look fair and balanced. The public was shocked, for it needed no further evidence that MNE is Orwellian brainwashing in poor disguise. In an abrupt about-face, government officials disavowed the NESC and called the handbook “rubbish.” But it was too late. On one of the hottest Sundays on record, 90,000 outraged parents and educators took to the streets demanding the entire program be scrapped. Another mass rally has already been planned for 1 September. Even without the misguided guidelines to stoke our fear, national education is a dangerous notion that any reasonable person should categorically reject. It was Oscar Wilde who famously said that patriotism is the virtue of the vicious. In most of the civilized world, elementary schools have a class called “civic education” that teaches children the basic tenets of democracy, branches of government and civic responsibilities. The subject is not to be confused with national education, although that’s exactly what government officials have led uninformed parents to believe. It is true that history classes in other countries often present facts and events that put them in a positive light. In America, for instance, George Washington and Thomas Jefferson are portrayed as demigods who defended settlers’ rights against British oppression (despite their ownership of plantations and hundreds of slaves), and the country’s westward expansion is taught in terms of the beautifully-phrased “manifest destiny” (while the decimation of the Native Indian population is glossed over). Nevertheless, patriotism is never overtly taught, let alone having an entire class devoted to it. If a school in Germany were to launch a curriculum to inculcate national pride, one that measures a student’s performance not by his aptitude but by his “emotional attachment” to the Vaterland, it would cause a riot throughout Europe. But that’s exactly what Beijing is pushing upon our city. In typical Mainland style, an idea so outdated and out-of-step with the rest of the world is being shoved down our throats. 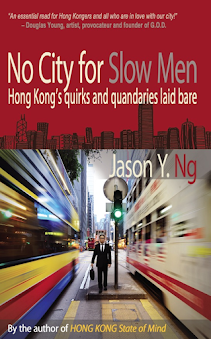 The heavy-handed approach to public policy, perhaps, is the true China Model. What about our teachers? Can we not count on them as gatekeepers to keep biased materials out of the classroom? The answer depends on the schools and their source of funding. Schools that are financially well-off, such as the elite schools that rely heavily on parent contributions, will hold out until 2015 and write their own teaching materials once MNE becomes mandatory. On the other hand, cash-strapped schools that have been hit hard by low enrollment due to the city’s dwindling birth rate, will have to choose between principles and survival. They are particularly susceptible to the propaganda machine. What's more, these schools tend to serve less affluent areas where parents are either too busy or unable to detect, let alone reverse, ethnocentric indoctrination. There are also fears that MNE as a standalone subject would become a launching pad for bigger things to come: a three-day cultural visit to the Mainland, all expenses paid with the national flags and pin buttons thrown in. 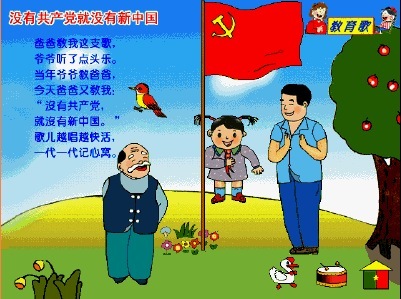 Impressionable six-year-olds may well return from their outreach waving Mao’s Little Red Book and humming “without the Communist Party, there would be no new China,” the first line of a popular propaganda song. The irony of the national education saga is that Hong Kongers are among the most patriotic Chinese. We respond to every natural disaster in the Mainland, from the Eastern China Floods to the Sichuan Earthquake, with unprompted and unreserved generosity. At every Olympic Games, we cheer on the national team with genuine pride. 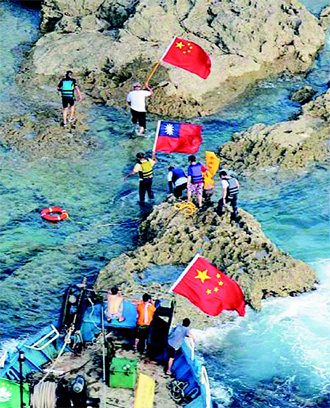 Just a week ago, a handful of Hong Kong activists made an audacious attempt to land on the Diaoyus (釣魚台) to assert Chinese sovereignty over the disputed islands. Whether you agree with the bravado or not, what they did was done out of patriotism. But patriotism has a very different meaning in the Mainland. It means a pledge of allegiance to a party that, despite its many achievements in the past 30 years, condones widespread corruption, tortures rights activists and refuses to face up to its failures and tattered human rights record. 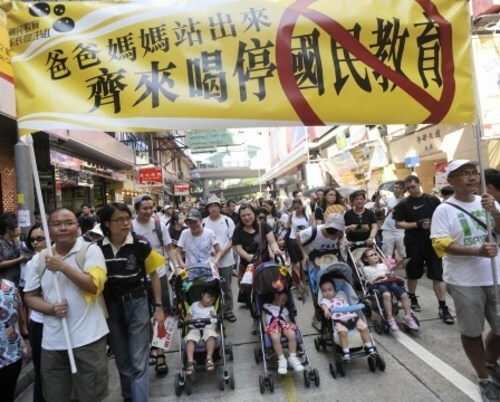 Those reasons, rather than ignorance or British colonial brainwashing, are why Hong Kongers have such a hard time identifying themselves as “Chinese.” That's something Beijing will never understand.